The brochure was significantly deceiving. When I made the decision to give aversion therapy a try, I had no idea what I was signing up for. I assumed the process would entail smelling or looking at alcohol while vomiting was induced, so imagine my surprise when I was told by another patient, not only did you actually consume the alcohol, but you drank (and threw-up) approximately 20 full glasses of it on the last day of treatment! Now don’t get me wrong, I was not at all opposed to the idea of drinking that many glasses of wine. The fact I did so on a regular basis, was why I was at the clinic in the first place. I did however, have a problem with throwing up that amount of alcohol, a horrible experience reminiscent of Junior Prom. Truthfully, I didn’t believe I could stop, but the hope that maybe someday I would escape the clutches of addiction was the only thing standing between me and suicide. I had suffocated in the disease for 15 years and I was drowning in shame. I hated myself and who I had become. I was willing to try anything that might save my life. Like most of the clients at the aversion therapy clinic, this was not my first attempt at seeking professional treatment. I first entered counseling at age 12 and continued to seek therapy periodically throughout my adult life. While I found it helpful on the surface, I never trusted anyone enough to really expose my darkness. I tried support groups, read self-help books and eventually checked myself into a posh rehab facility in Southern California where I learned a lot about the brain, got a great tan and met some incredibly inspirational sober women, but I couldn’t kick the craving to be numb. I had valid reasons for not wanting to feel. Some caused my addiction, and others were the result of it, but they lived in me and kept me sick. For those who have never personally traversed the landslide of addiction, it’s hard to imagine how someone can simultaneously be killed and saved by the same substance. I needed the moments of reprieve alcohol gave me, where I could momentarily escape the painful reality which had become my life. My ‘occasionally’ sober heart ached on a daily basis and the symphonies in my mind seemed to play to the same sad and depressing beat. All I could do was look forward to the illusion of safety and love alcohol had once given to me, and pray I could either stop drinking, or finally catch the ever-elusive first high feeling. At the end of my drinking career, I didn’t even enjoy alcohol anymore, but I loved the idea of it. Day after day I thought it would bring me the same aliveness it once did, but every night I passed out distraught yet determined to drink myself back into sanity, happiness and hope. 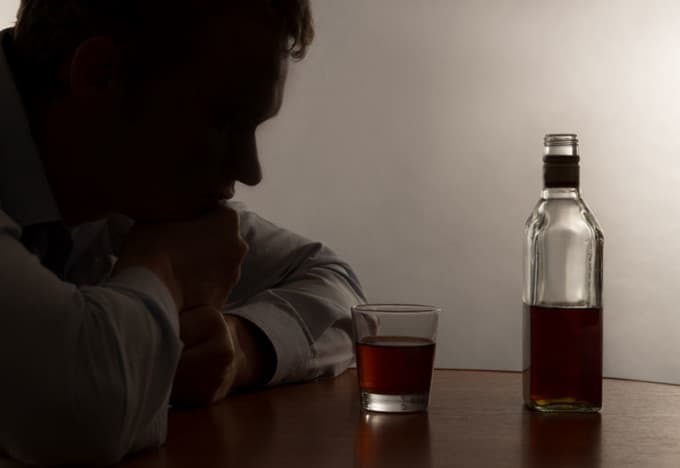 Like the most manipulative and crafty domestic abuser, I found myself believing that alcohol was my only chance at survival, and nothing outside of it could ever facilitate feelings of love, connection or safety. My greatest hope was my greatest fear; that the aversion would work and I would never want to drink again. I didn’t completely trust myself to finish the program. I was terrified my addiction would somehow convince me the hell I was living in was better than the sober alternative. I wanted to get there and start the program immediately so I wouldn’t let the stillness and subsequent time to reflect, sabotage my initial conviction to make it through. Unfortunately, I needed to detox before I could begin the program, and those five days were the worst limbo I had ever experienced. I had too much time to lay around thinking about where I had been and where I was headed. After consuming a gallon of Gatorade, I was given a shot to induce “flu-like” symptoms not limited to: the chills, sweating, nausea and fever. Once that kicked in, I found myself in a tiny room with a sink, a mirror and a shelf, which proudly displayed all my favorite types and brands of alcohol. I was handed a water glass full of ipecac and told to drink the entire thing. I looked in the mirror at my pale, shivering, sweating face and started chugging the poison I once would have died for. I began purging uncontrollably and watched helplessly as all the remnants of abuse, abandonment and shame went down the drain with my favorite cabernet. The treatments occurred on alternating days, sandwiched in between doses of Propofal and therapy sessions with the client’s subconscious. I would count down from 100 only to wake up in another room with a transcript of a ten minute interview, where I unknowingly responded to questions concerning my level of aversion and what I needed to process in order to heal. I spent hours on the deck surrounded by a beautiful forest and the most incredible people I have ever met. They were funny and scared, musically talented and hilarious. We would cry, sing, laugh, puke and stand transparently with one another as we faced our demons and embraced our shadow self. We were rich, poor, young, old, terrified and fighting for our lives, but throughout it all, we were authentic. We let go of our need to perform, we embraced each other’s suffering, and we learned that in the mist of agony, we could still deserve and offer love. Together we rediscovered our joy and innocence, and found absolute peace in the mist of incredible chaos. We naturally experienced the love we had tried so hard to find in the bottle, needle or pipe. Some of us would go on to using again, others lost their life to this horrible disease, but many of us were reborn and given the ultimate gift of sobriety. As I write this, I’m not certain if I am more disgusted with the thought of drinking the lemon-lime sports drink, or alcohol, but I am happy to report that years later, I am strongly adverse to both.